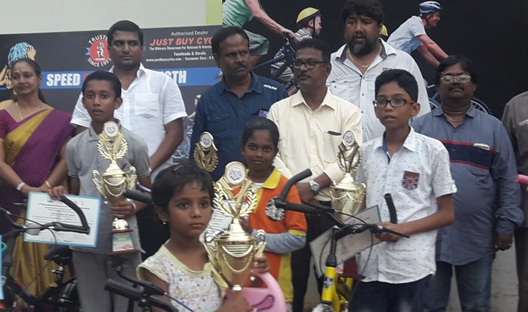 3rd Vishwaksena state level chess tournament was organized by the T.Nagar chess academy on 18th & 19th August 2018 at Polivakkam Thiruvallur. Around 350 players participated from all over Tamil Nadu. International master elect Arjun Kalyan. National Sub-junior Champion Ajay Karthikeyan were seen in action. The Prize distribution function was presided by Ms. Meenambai Principal Vishwaksena Matric. School, Ms. Nageshwari Principal Vishwaksena CBSE was a Guest of honour. Dr. Movendhan Correspondent, Vishwaksena group of Institutions gave motivational speech and Distributed Prizes to the winners. 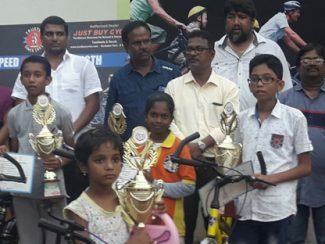 All the winners of each category under8, Under10, Under12, Under14, Under18 both open and girls section were awarded with bi-cycle and Trophy. Top 15 placing of each category were packed glittering trophies and medals. Mr. Al.Kasi Secretary T.Nagar chess Academy gave away vote of thanks.